Melbourne, FL--Lori Pitten Jenkins, the president of Fifth Avenue Art Gallery, has been awarded the prestigious American Watercolor Society Signature status. This international society holds a juried exhibition each year. You must be accepted into three shows to receive signature status and each artist may submit only one piece of art per year. 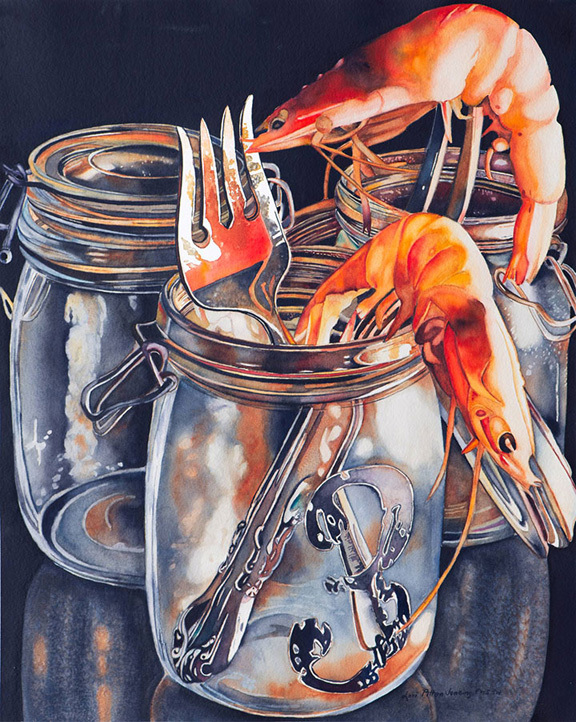 In addition to her Signature ranking, her painting "Prawns on Prongs" also received the Paul B. Remmey memorial award. This 146th Annual exhibition will be held at the Salmagundi Club in New York.The show will run from April 2 through April 21.